Snow FX Dry Foam is quick, easy & creates stunningly realistic effects. It can be used both indoors & outdoors, it doesn’t require cleaning & is a very cost effective way to create stunning snow effects for your shoot, party or installation. 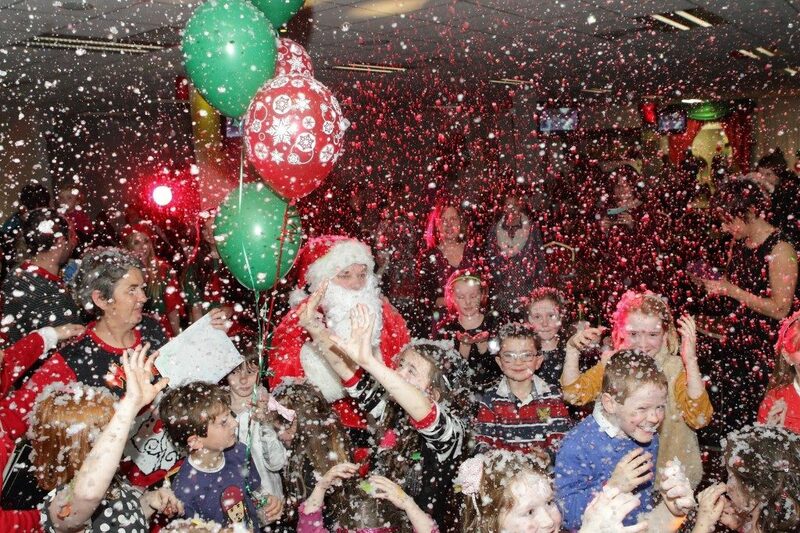 Falling snow is great for Xmas Parties, Winter Wonderland Weddings, Kids Parties & Commercially at Xmas to create a buzz around the high street/shops. Snow can be small, medium or larger flakes & be used both indoors/outdoors so long as it has a power supply near by. We have in the past used this from the roof tops of businesses which always amazes the passing customers capturing their festive imagination & is a great Guerrilla Marketing tactic. Indoors the foam is safe on carpets & won’t cause any damage. On hard floors it is fairly dry so not slippy unless over used. When booked for a Wedding/Party we use it at specific intervals to blast a snow fx flurry out every so often. We find it can be used as a great ending towards the last dance of the night as an extra special finish. This works especially well if it is the first time it has been used all night & always has a big reaction. We supply the special juice needed to pump out the Snow, an operator to control the unit & plenty of fun! Any effect you add to a Party will enhance the Event. But by adding Visual effects it creates the best memories & really sets the scene for a great Event. Snow, Bubbles & Dry Ice are just a fun effect that are not utilised enough by most clients usually because the service providers don’t have the effects like we do. With us you have that opportunity to make a truly unique event. Is your company having a Xmas Party? Why not ask the decision maker to consider Killa Party to provide all your Entertainment needs. We can light up your event with vibrant uplighting, add special fx, use our Magic Mirror Photo Booth & finish it off with a Star Lit Dancefloor. Snow not for you? Have you considered Bubbles FX instead?